Farmhouse Chairs are Versatile and can be combined with many textures. 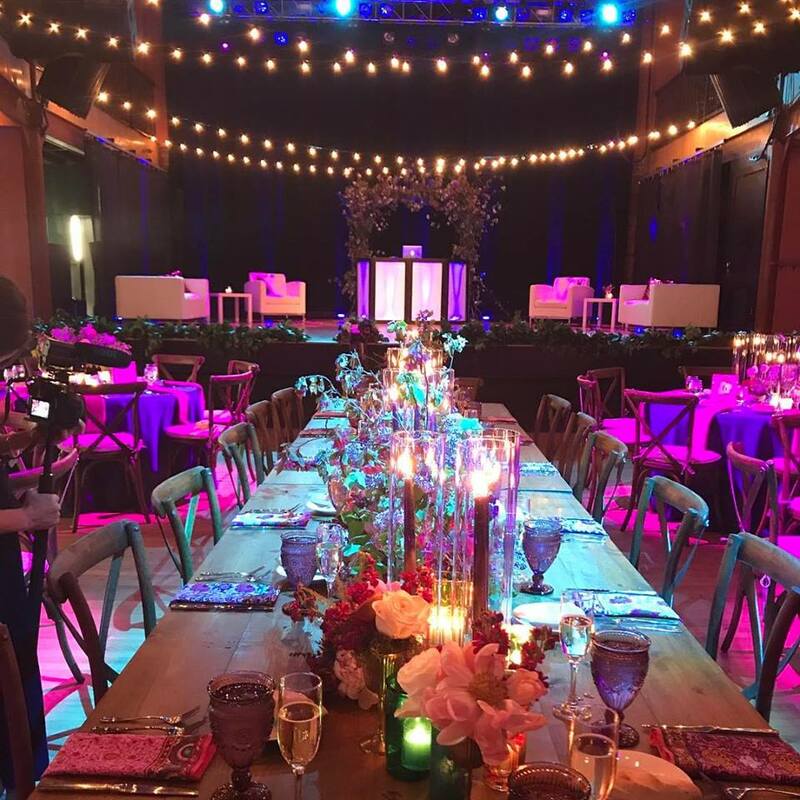 You can make the look Rustic or a Fairy Tale Elegance…Just add a bit of chiffon to the look in blush pallets. 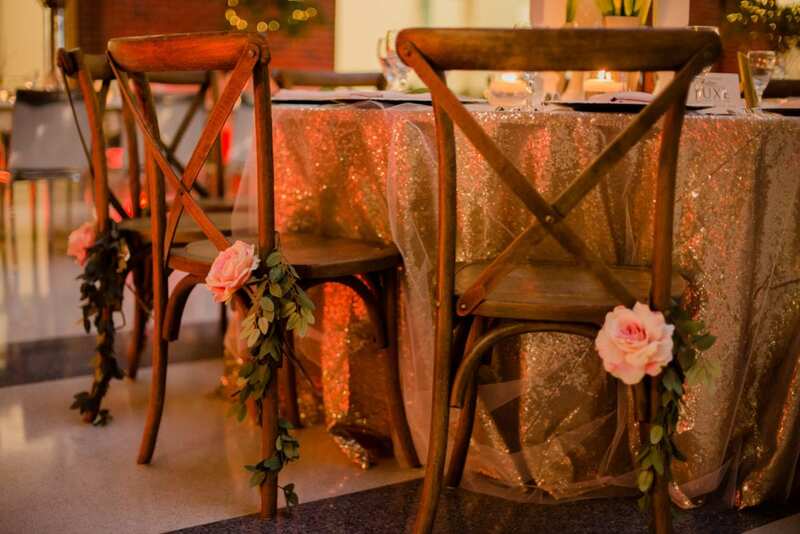 A few Roses or Greenery attached to the chairs to totally transform the look of your event.